This drive takes you through the empty Oregon Outback, the desert area in the southeastern part of the state. 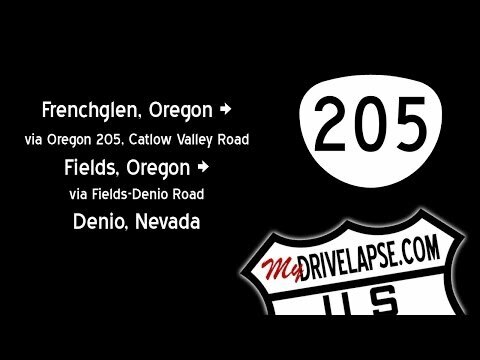 The drive begins in Frenchglen, Oregon, and heads south on Route 205, which soon loses its state road number and becomes a local road. The highway continues to the Nevada state line at Denio.